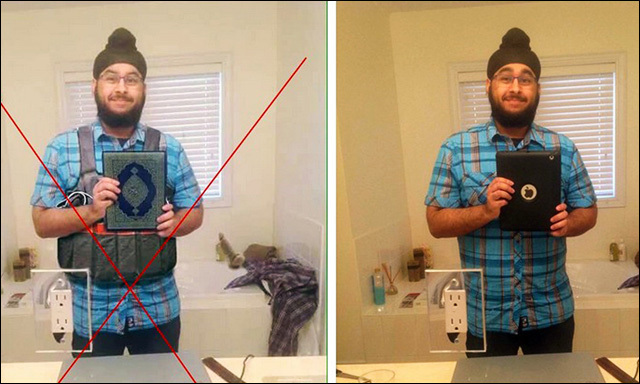 Fake image of Sikh man is now being used to accuse him of the Nice attack: A Photoshopped picture of a Canadian Sikh man who was wrongly identified as one of the terrorists behind November's Paris attacks has surfaced again in the wake of Nice. Will Asian-Americans get behind Black Lives Matter? "We as Asian-Americans remain complicit in the terrible toll the African-American population has faced, because of our indifference, our lack of empathy or our outright embrace of a meritocratic mythology that labels our community a 'model minority' and black Americans as a values-compromised 'underclass.'" In the narrative of race, why only black ink on white paper? As the cries of Black Lives Matter resound in her heart, a Hmong-American writer reminds us why racism isn't only black and white. As Clinton launches registration effort, community groups focus on Asian Americans: Asian Americans are the fastest-growing racial group in the U.S., with political power that neither party has fully harnessed. Why a Vice President Mike Pence is Bad News for AAPIs: On the heels of the news that Donald Trump has chosen Mike Pence as his running mate, Reappropriate outlines why this decision is bad news, particularly for AAPI immigrants, women and LGBT individuals. Mike Pence Argued In An Op-Ed That Disney’s "Mulan" Was Liberal Propaganda: "Obviously, this is Walt Disney's attempt to add childhood expectation to the cultural debate over the role of women in the military," Republican Vice Presidential nominee Mike Pence once wrote in an op-ed in 1999. We're Pretty Sure Negan Kills Glenn on The Walking Dead: TV Guide makes the case that it was, sadly, Glenn who was brutally killed by the villainous Negan in the season six finale of The Walking Dead. We don't wanna believe it! (They also made the case that it was Maggie, so these are all still just fan theories. Diversity Drives The Story In The Latest Incarnation Of Superman: Gene Luen Yang, writer on DC's New Super-Man, talks to NPR about Kenan Kong, the Chinese teenager who takes up the mantle of Superman. Master of None's Aziz Ansari on His Emmy Nominations: 'There's No #EmmysSoWhite': Vulture spoke to Aziz Ansari to get his thoughts on Master of None's four Emmy nominations and becoming just the fifth person of South Asian descent to be nominated in an acting category.